Star Cross Comics is an indie publisher specializing in producing provocative comic books that are created by artists from all over the globe. 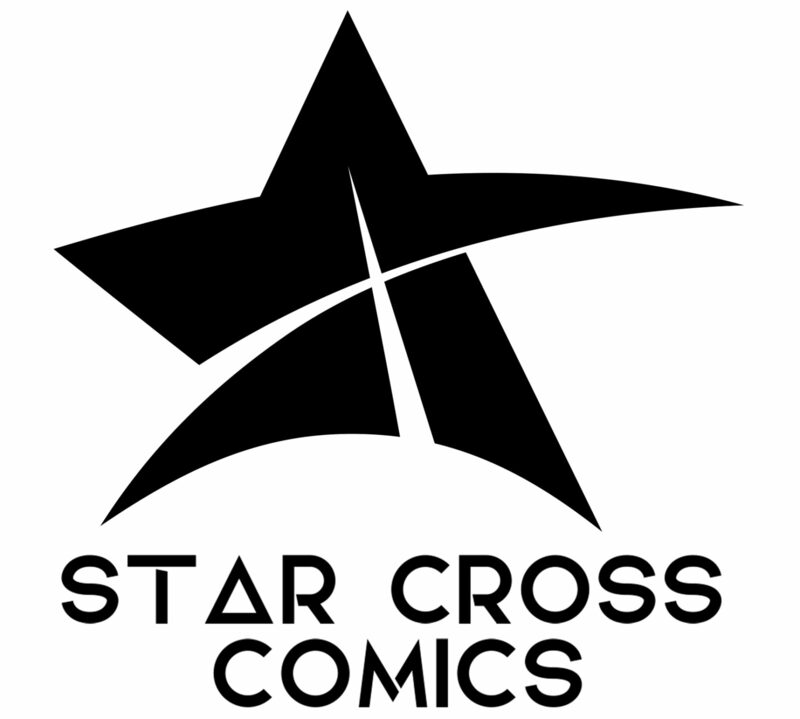 Their comics ranging from horror and thriller to sci-fi and fantasy, superhero, Christian, adventure, and crime, Star Cross is a dedicated indie publisher specializing in promoting entertaining, top quality comic books and series from a variety of artists covering a range of genres. 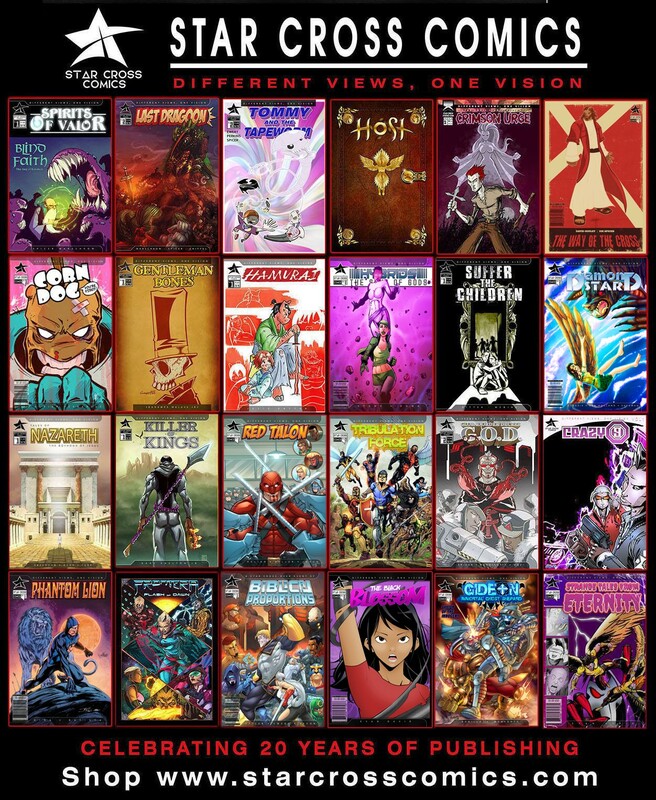 Some of the creators on their books are Joe Spicer, Radames Malave’, Adrian Fernandez, Mike Ewert, Daniel Warschkow, Evan David, Julio Gaytan, Gary Shelton Jr., Luke Stone, Bill Raupp, Ruben Bonilla, Art Greenhaw, Troy Vevasis, Aaron Ritter, A.J. Kinkade, Robert Goulet, Ruben Bonilla, Ken Keller, Evan David, and Ian Blair. Here’s just a sample of some of the books they put out. I recently interviewed creator and publisher, Joe Spicer to learn more about their company and how they’ve managed to stay true to themselves. JOE: I live in Milwaukee Wisconsin with my wonderful wife and a happy baby boy. I am a Christian, conservative that has collected comics since the 80’s and I have been drawing comics since I was very young. I wanted to create comics my whole life and my art has been a means to that end. My first profession gig was as a cartoonist for The Milwaukee Journal Sentinel for 6 years, and since then I’ve done animated commercials and freelance art for various local businesses and ventures as well as live art shows for ‘Made in Milwaukee’, not to mention working countless comic cons. Some of my comic titles are G.O.D., The Way of the Cross, HOST, Spirits of Valor, and the upcoming graphic novel sized; Crazy 9. CHRIS: Wow! 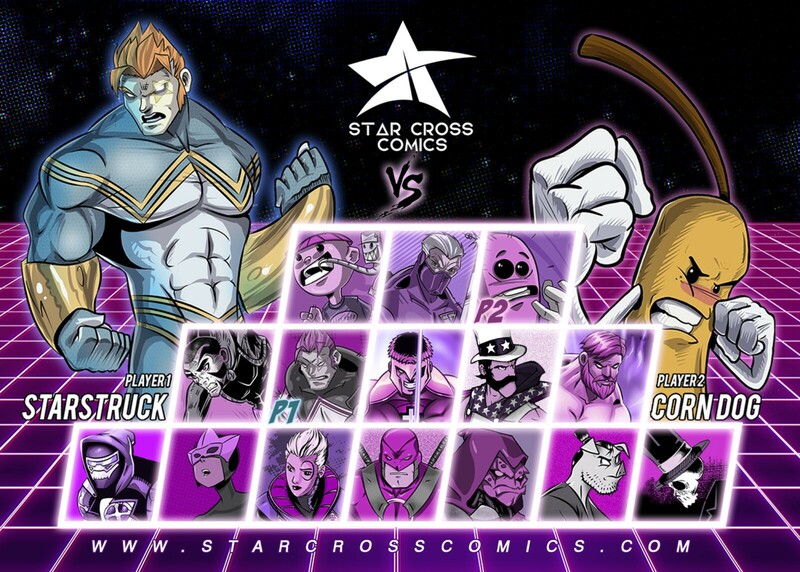 When and why did you launch Star Cross Comics and what is its purpose? JOE: I launched Star Cross Comics back in 1996 as a way to showcase my and my friend’s comic book creations and our love for the medium. As it continued to grow, we met new creators locally and now we’ve extended our reach to like minded creators across the US as well as over seas. Though we are mostly Christians, we do have non Christian creators as well and who vary in ethnicity and orientation. Group thought is not a requirement but a team mentality, humbleness and tolerance of thought is required. CHRIS: How many comics are your currently publishing and how are you handling distribution? JOE: We are currently publishing 20 books with others in production. We distribute via our website, at comic cons and some comic stores that we work with, and that list is growing. We also have digital comics on Comixology and Amazon. CHRIS: What issues do you see in the comics industry that you’re trying to do differently? JOE: The comics industry rides on their 80+ some years of their characters being in the public eye. The industry (Marvel and DC) now pursues a new audience of “woke” readers while at the same time ignoring the audience that got them here and have loved comics their whole lives. This generation’s editors and writers loath the “OG” comic audience and want to re-brand the industry in their own image. I’m of the mindset of “don’t fix what isn’t broken”. Comic fans love these old characters! CHRIS: What have been some of the challenges you’ve experienced as both a creative yourself and a publisher in today’s comics era? JOE: Money and sales are the biggest. People work on their craft be it art or writing, but if you don’t have money to market your books you wont have sales no matter how amazing you are. Most comic fans just want books they are familiar with. A new comic means a risk that they may not like. We’ve learned to only work with disciplined creators, a lot of people are not invested, we need a do or die attitude to get work done, because it should be your passion and that word comes from the suffering and death of Christ on the cross. With more and more comic book stores closing month after month, stores are very picky on indie books occupying their shelves. That’s where online sales can fill that void to sell directly to our customers. CHRIS: What are some of the accomplishments you’ve achieved that you are proud of? JOE: Being around for 20 years is a great accomplishment. I and Star Cross Comics have been featured in The Milwaukee Journal Sentinel multiple times. 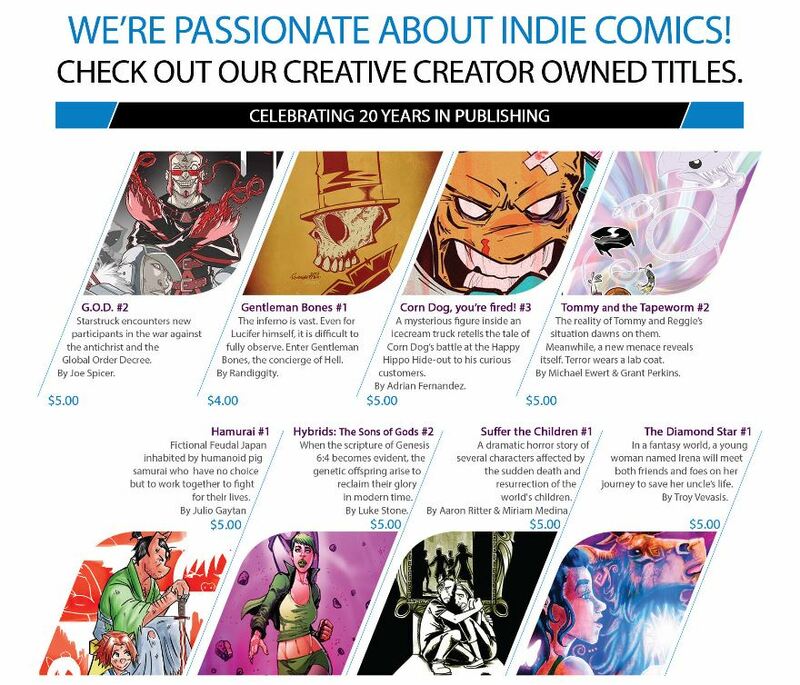 We’ve been able to work along side amazing creators and well established, known artists and writers. CHRIS: That’s a great track record. What are your plans for 2019 and beyond? JOE: We are looking forward to our new crossover series Biblical Proportions, that will feature characters from multiple Star Cross titles as well as characters from other indie comic companies. We are hoping to expand our universe not only in upcoming comic crossovers but in a video game app we are developing and hopefully in the future, even animation. CHRIS: That’s cool, Joe. Before we wrap up, can you tell me how other like-minded creators get in touch with you? JOE: Yes! Creators should email me at spicemaster77@gmail.com – and send a link to your comic’s PDF. We take about a month to sit down with my Editor and Art Director and review finished or near finished comic book projects where we judge the art, the writing, the marketability of the concept as well as the personality of the creator. “Are they a team player? Are they cocky? Are they a good team player to work alongside… and so on. Send us your stuff! CHRIS: That’s awesome, Joe! Thanks for speaking with us and we’re rooting for you.